Do you know what to do when alcoholics relapse? Recovery is hard work, and there will be challenges and setbacks. Alcohol addiction has similar alcoholic relapse rates to those of other chronic diseases, including heart disease and diabetes. According to the National Institute on Drug Abuse, around 40 to 60 percent of people in recovery will relapse at some point. If you don’t understand relapse or know what to do when alcoholics relapse, this handy guide will help. Click here to learn more about the causes – and effects – of alcohol addiction. Addiction is a chronic disease of the brain that leads to changes in its physical structures and chemical functions. Alcohol addiction is characterized by compulsive alcohol use despite the negative consequences it causes. People who are addicted to alcohol will continue to drink even though it’s causing problems with their relationships, health, finances, or legal status. Even though they may want or try to quit, they’ll usually find that they can’t do it on their own. Treatment helps people restore healthy thought and behavior patterns and end the compulsion to drink. It helps them develop skills for coping with cravings, stress, negative emotions, and other triggers. During treatment, a strong focus is on alcoholic relapse prevention. If someone uses alcohol once in recovery, it’s known as a setback, or a lapse. 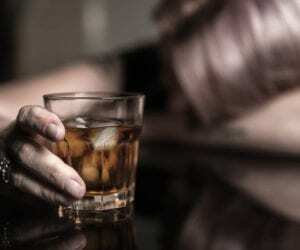 A setback or lapse can lead to a relapse, which is the recurrence of addiction, once again characterized by compulsive drinking despite negative consequences. An important part of alcoholic relapse prevention is teaching people about relapse and helping them understand what to do when alcoholics relapse. Relapse doesn’t occur overnight. Rather, it happens in predictable stages, according to an article in the Yale Journal of Biology and Medicine. During emotional relapse, you’re not consciously thinking about drinking, but your emotions are setting you up for a lapse. Signs of emotional relapse include bottling up emotions, isolating yourself, skipping support group meetings or going to meetings but not sharing, focusing on other people’s problems, and engaging in poor self-care. During mental relapse, there’s a war going on inside your head. Part of you wants to use, but part of you doesn’t. As this stage progresses, your resolve weakens. Signs of mental relapse include alcohol cravings, thinking about the people, places, and things associated with drinking, minimizing the consequences of your past use, lying, thinking of ways to control your using, looking for opportunities to drink, and planning a lapse. Physical relapse is where the lapse occurs. Getting help right away can prevent the lapse from turning into a full-blown relapse. Otherwise, the lapse may lead to another, and another, and soon, you’re addicted again. Knowing the stages of relapse is essential for detecting the early signs of relapse and knowing what to do when alcoholics relapse. Once a lapse or relapse occurs, the most important thing is to get back on track with recovery quickly. This typically requires outside help. Contact a sponsor, therapist or aftercare case worker, who will intervene and help the relapsed person get back to recovery. The most important thing to understand is that relapse is widely considered a normal part of recovery, and it’s not the end of the world. It doesn’t mean treatment didn’t work. It means that the person who relapsed is missing some skills that he or she needs to succeed in recovery. The interventions that occur after a relapse help individuals determine what went wrong and develop the skills to ensure it doesn’t happen again. People who approach a relapse with a positive outlook are more likely to get back on track with recovery quickly and stronger than ever before. But those who view the relapse negatively and engage in negative self-talk are likely to take longer to get back to recovery, and they’re more likely to abandon sobriety altogether. Alcoholic relapse prevention education includes the importance of maintaining a hopeful outlook after a relapse, getting help right away, and being open to the lessons the relapse offers. People who relapse but get right back to recovery often come back stronger, better equipped, and more motivated than ever to enjoy long-term sobriety.